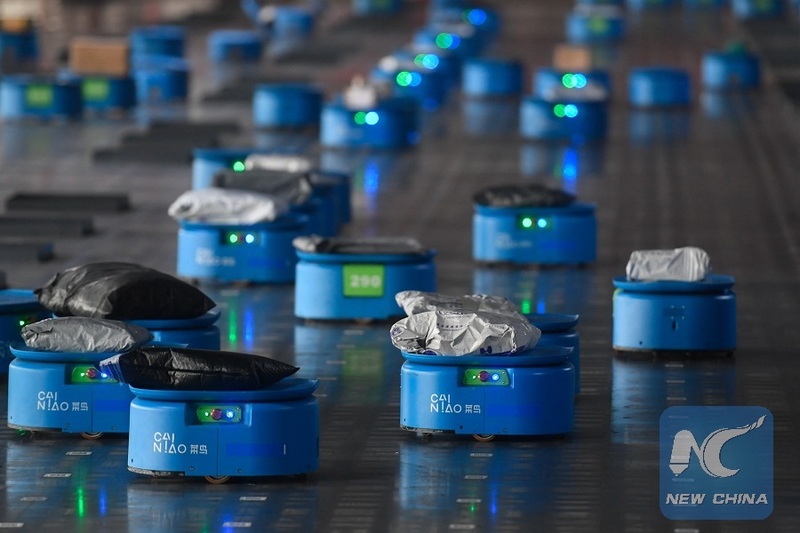 Robots operated by Alibaba's logistics unit Cainiao move parcels at a new aunomated guided vehicles (AGV) warehouse inside the hub of delivery company YTO Express, in Hangzhou, Zhejiang province, China, on September 14, 2018. BRUSSELS, Dec. 7 (Xinhua) -- Chinese e-commerce giant Alibaba has inked an agreement with the federal government of Belgium to open its first Electronic World Trade Platform (eWTP) in Europe with the aim of promoting long-term cross-border trade. The agreement was signed on Wednesday by Belgium's Deputy Prime Minister Kris Peeters and Senior Director of the Alibaba Group James Song. 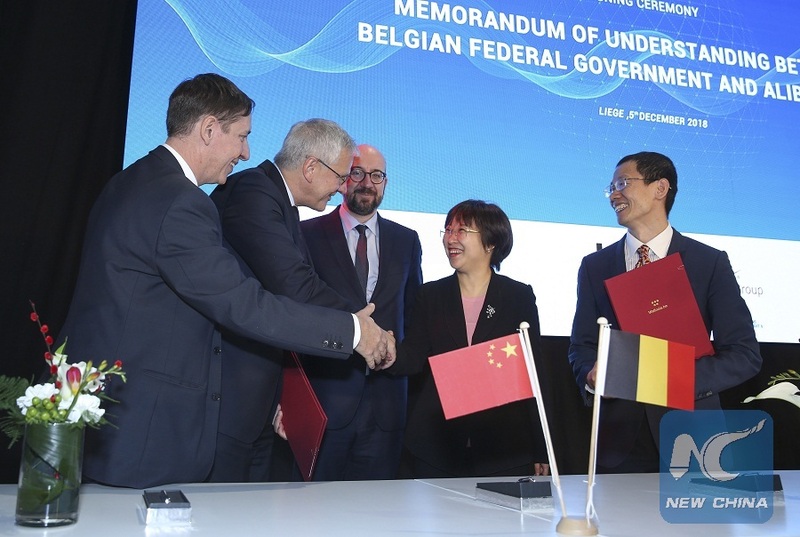 "The establishment of this new electronic trading platform in Liege will drive more Belgian enterprises to cooperate with China and promote the export of high-quality Belgian products to China for our mutual benefit. Pragmatic cooperation injects new impetus," said Cao. Michel Kempeneers, COO Overseas of Wallonia Export-Investment Agency, Belgian Deputy Prime Minister Kris Peeters, Belgian Prime Minister Charles Michel, Alibaba Group President of Global Business Angel Zhao and Senior Director of the Alibaba Group James Song (from L to R) celebrate after signing a MOU for opening the Electronic World Trade Platform at a signing ceremony in Liege, Belgium, Dec. 5, 2018.